Gwen Stefani has returned to LA following her promotional tour across the pond. The singer stepped out yesterday evening(December 7th) for the Domino x Fred Segal and CB2 Pop Up at the Fred Segal Flagship. For the occasion, she was head to toe in SCHIAPARELLI SPRING 2017 COUTURE which featured blue floral embroidered jacket with red pipping & a tie waist, the matching shorts and red suede thigh-high boots. 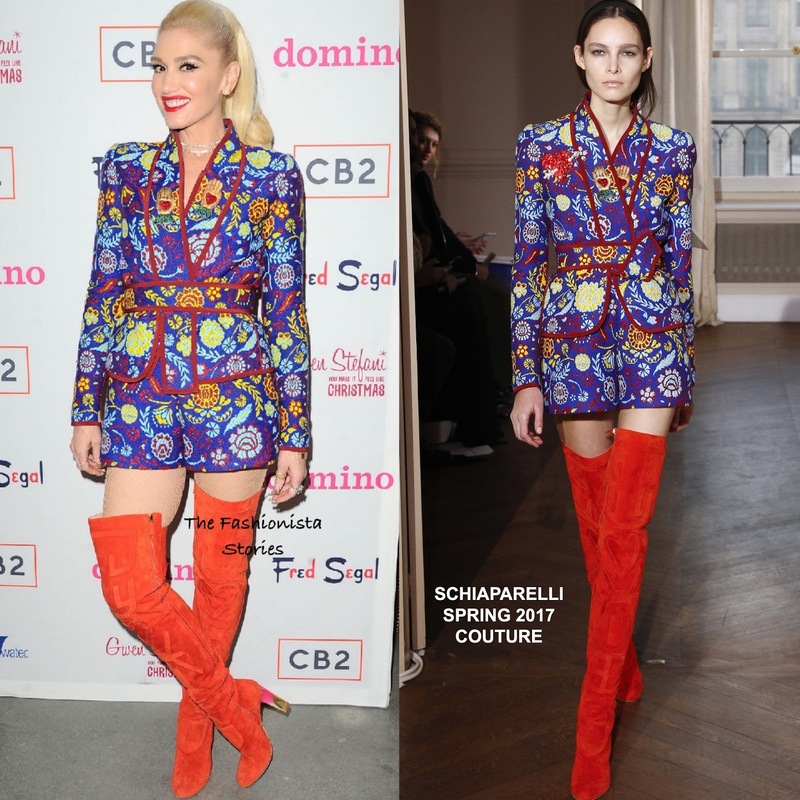 Love this look on Gwen, it is on tune with her style and the occasion. Accessorized with a selection of statement rings, she finished up with her signature red lip and ponytail.